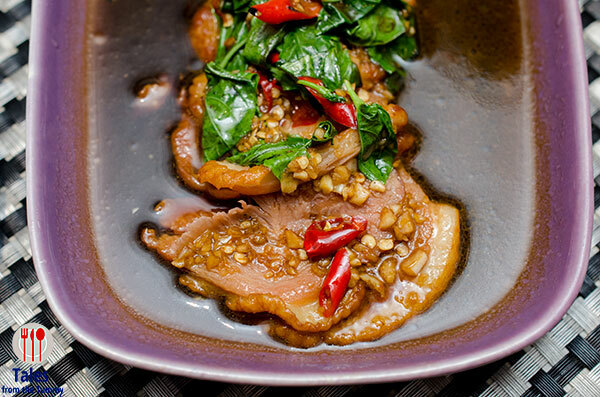 Nara Thai is one of Bangkok’s top Thai restaurants and the local franchise was brought in by the Roku group. The first branch opened recently in SM Megamall Fashion Hall, and joins other branches in Singapore, Hong Kong, Sri Lanka, Mumbai, Myanmar, Vietnam and Taiwan. Yum Phak Khom (P225). 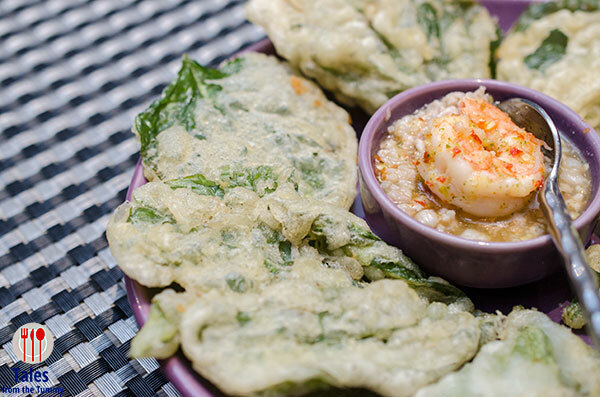 Deep fried battered water spinach (kangkong) leaves with minced pork and prawn chili lime dip. I’ve never been a fan of this dish but the tangy and spicy dip does temper the cloying factor. Goong Chae Nampla (P390). Prawn carpaccio in fish sauce marinade. 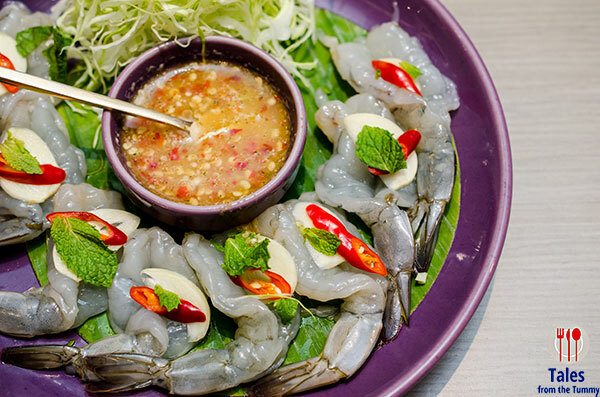 This is quite a unique dish with raw prawns that you can season with the spicy dipping sauce. Nara Thai Sampler (P395). 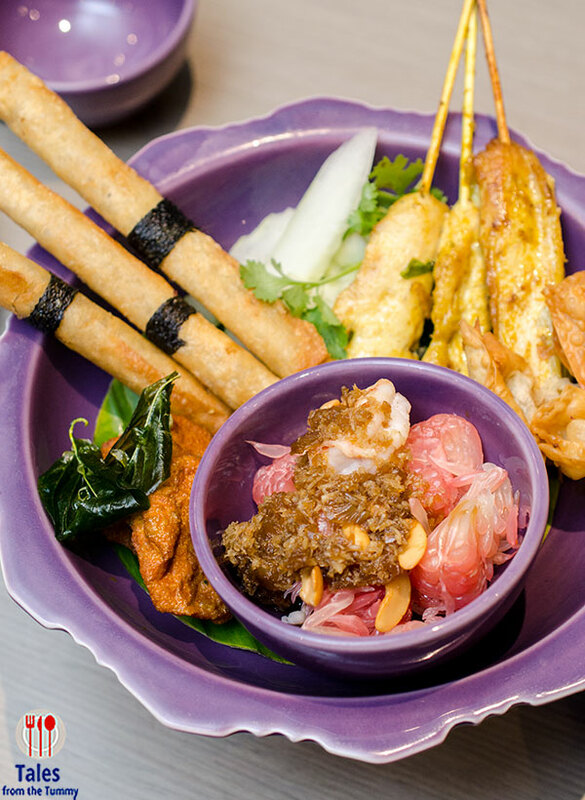 A good choice to try a bit of everything, fish cake, chicken satay, pork wonton, spring roll, and pomelo salad. The one I liked were the chicken satay, fish cake and pomelo salad. Yum Som O (P380). The pomelo salad was delicious but this would be affected with the fruit’s seasonality. The pomelo in the salad were plump and juicy and played the perfect foil to the tangy dressing with a slight spicy kick. 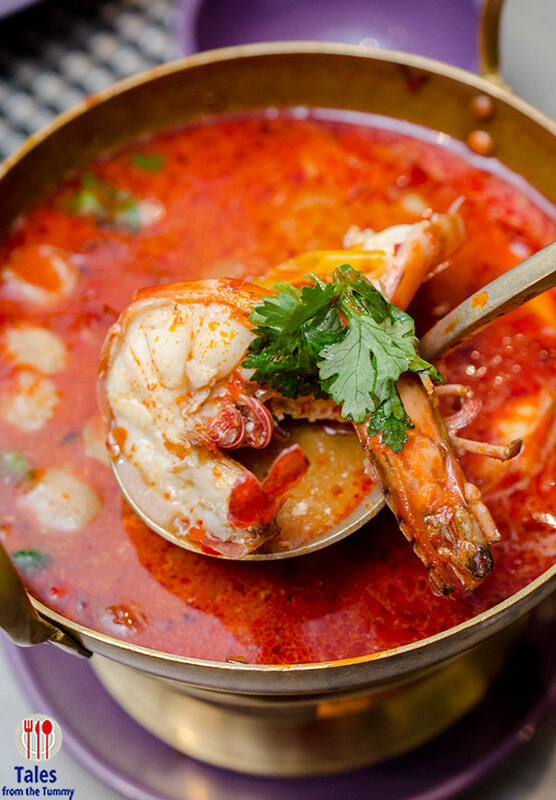 Tom Yum Goong (P420). 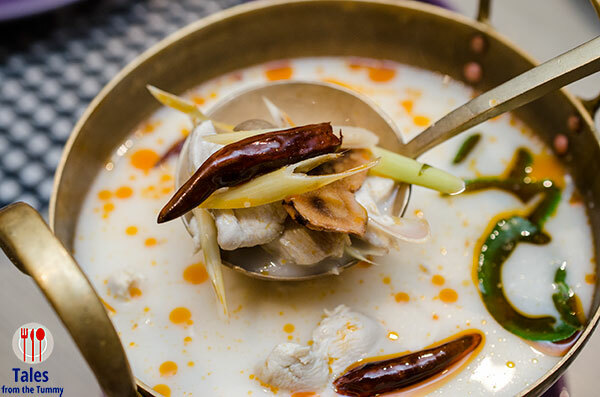 You can go wrong with this classic Thai soup of prawns in spicy lemongrass broth. They’ve conveniently butterflied the generous amount prawns so it’s easier to eat. Tom Ka Gai (P380). 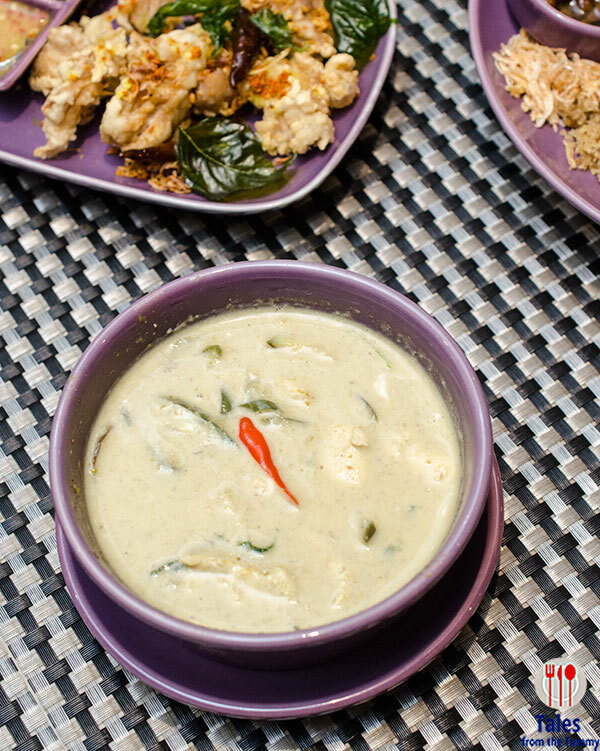 An alternative for those who want a tamer soup is the chicken in coconut broth. There’s still some spice but balanced out by the coconut broth. I’ve never tried this dish so it was pleasantly enjoyable. Pad Thai Kai Krob (P285/solo, P390/sharing). 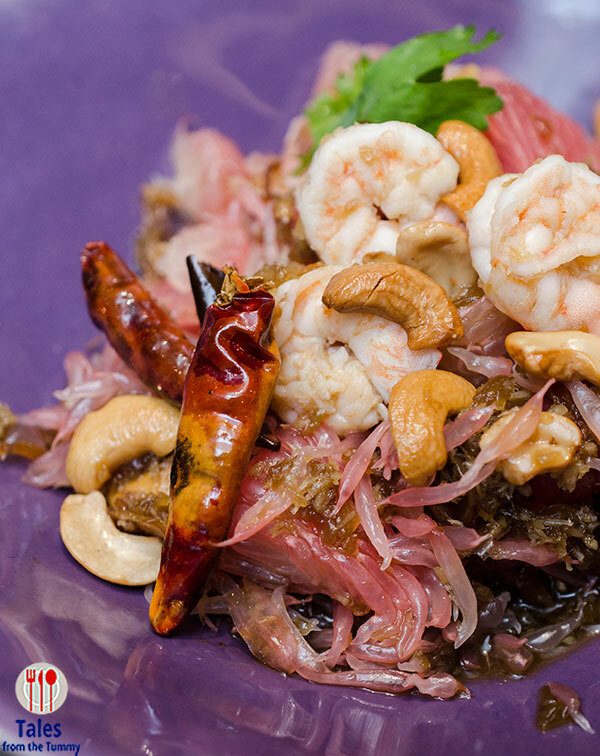 This another dish that is usually ordered in most local Thai restaurants. They don’t wrap their version in egg but instead makes it into crispy egg floss for a texture contrast. 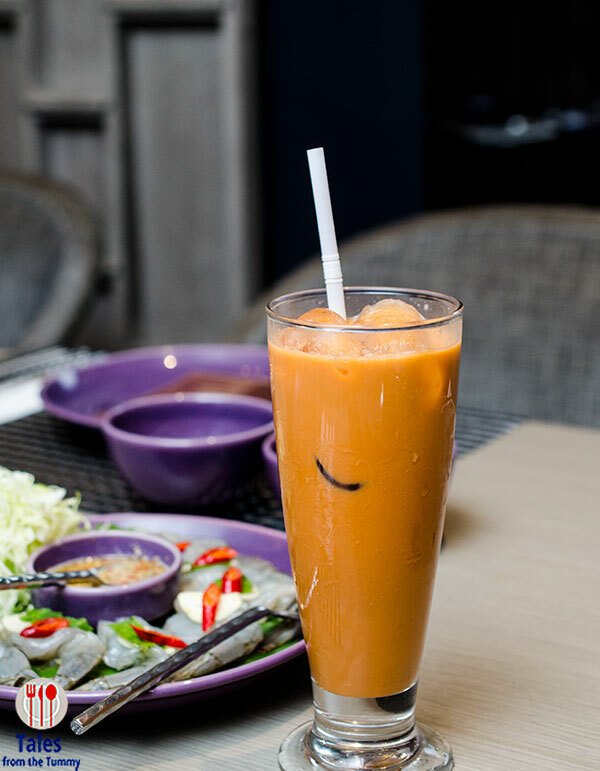 The best way to wash away the spiciness from all the dishes is with a glass or two of thier Thai Iced Tea. 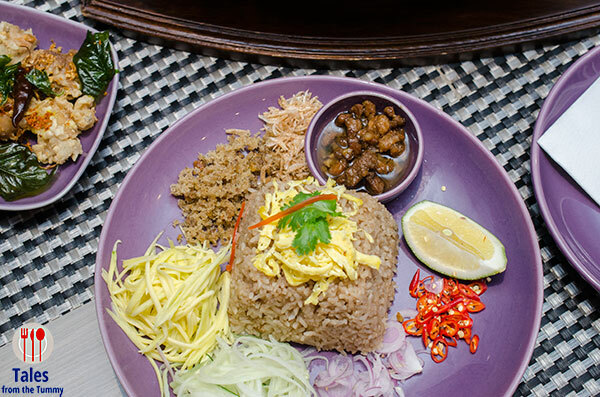 Khao Phad Kapi (P245). Mix and match your sides for their version of bagoong rice or just mix everything in, squeeze some lime and add some chili. Kang Kiew Wan Gai (P385). Green chicken curry, a tamer version for those wary of spice. There’s still some spiciness but there creamy and hearty curry balances it out. Chu Chee Gong (P750). 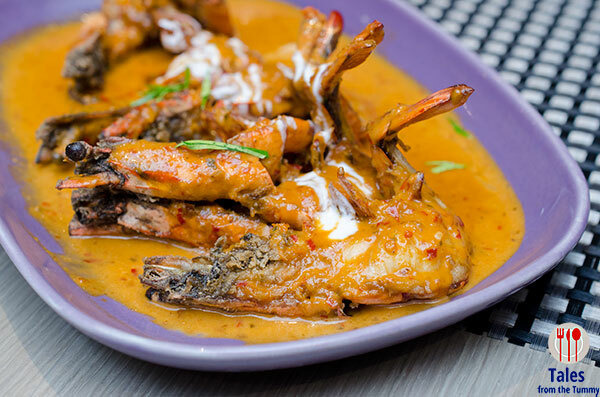 Fried prawns in red curry sauce. Best eaten with cups of steaming Jasmine rice to take advantage of the tasty sauce. Phu Nim Tord Sauce Ma Kam (P850). 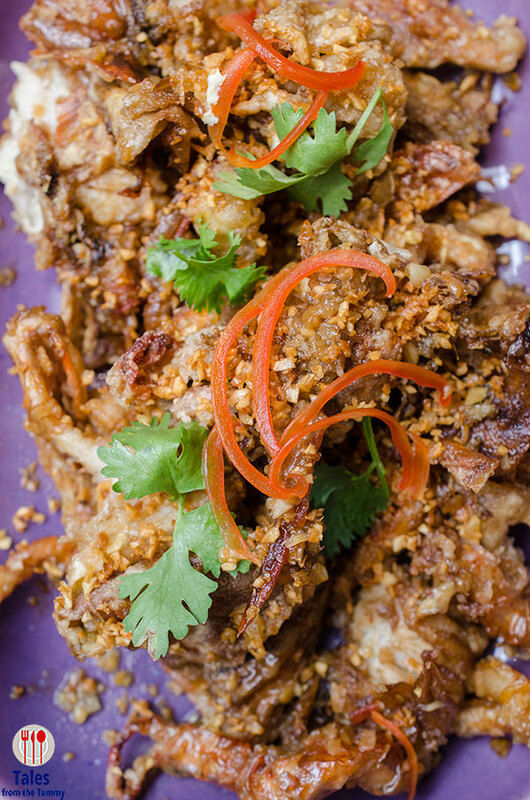 Fried soft shell crab with tamarind sauce. Not the prettiest dish but more than makes up for it in taste. A good crunch that packs a boatload of flavor highlighted by garlic and tamarind. Ped Yang Kra Pao Krob (P650). I love duck and this one was no different. Good smokiness from the grilling with a savory and lightly spicy sauce. Plan Gao Neung Ma Nao (P250/100grams). 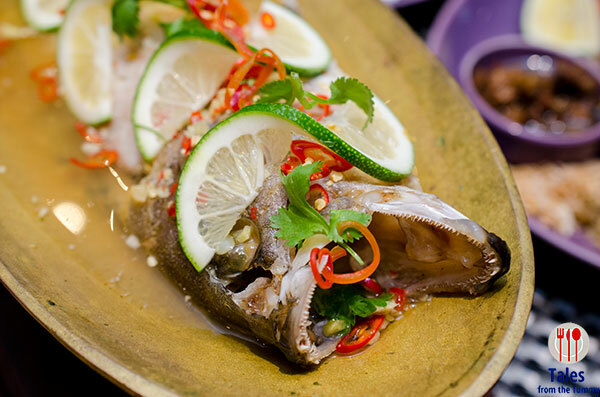 Steamed grouper with chili lime sauce. Nara Dessert Set (P345). 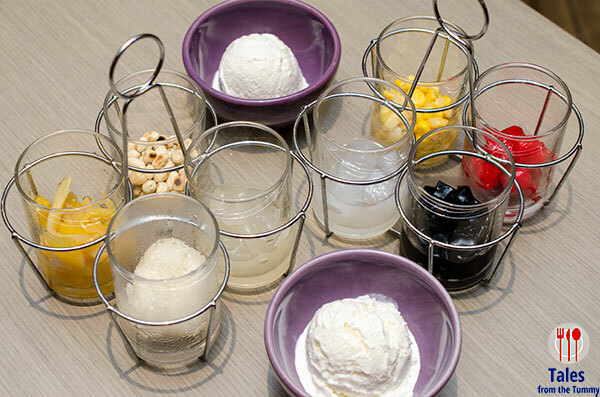 This mix and match set comes with 2 scoops of coconut ice cream plus 8 toppings. The toppings you get depends on what is available so may not look exactly the same. It feels kinda like halo halo. Longan Sticky Rice (P255). 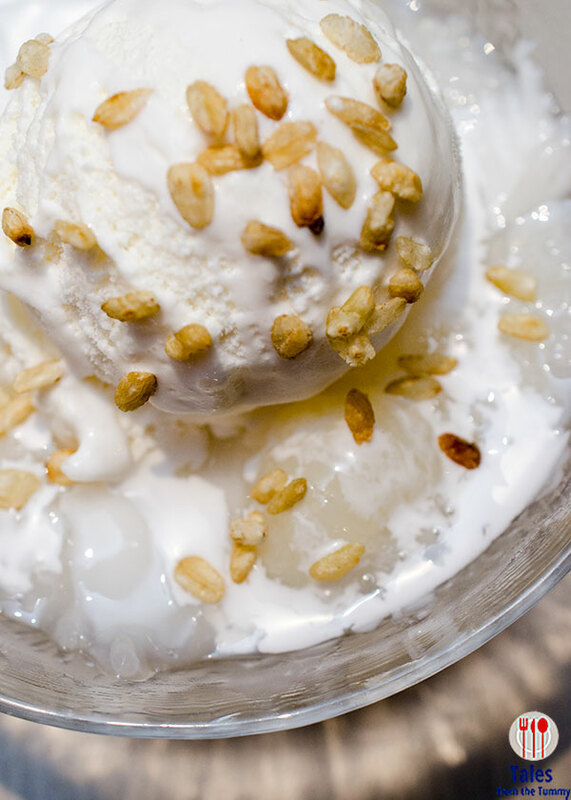 Sticky rice base topped with longan fruit, coconut ice cream and drizzled with coconut cream. We enjoyed this one a lot. Mango Sticky Rice (P265). 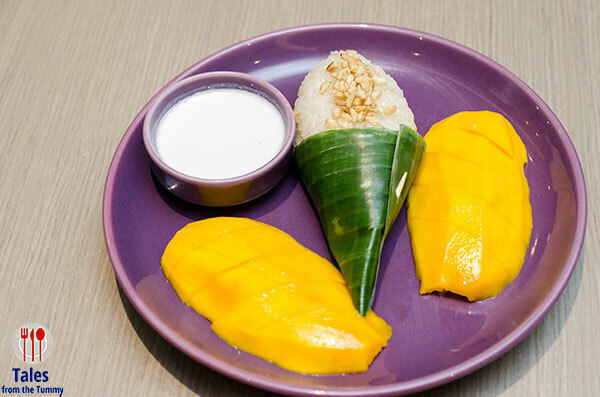 The most popular Thai dessert with warm and slightly toasted stick rice with two mango cheeks and coconut cream on the side. 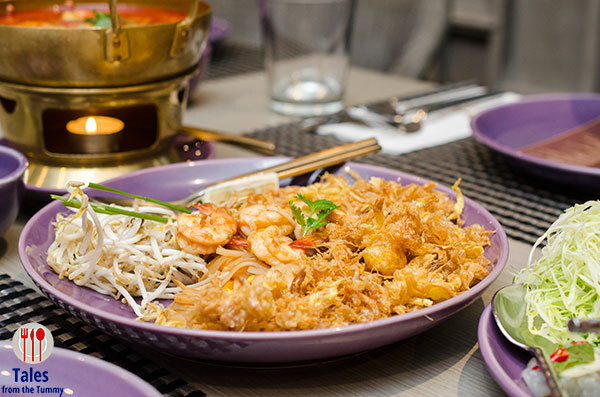 I’ve never tried Nara Thai in Bangkok so have no basis for comparison but I’ve heard many mention that the taste is far apart so Nara Thai PH can strive to improve. I enjoyed most of the dishes we had and would to hesitate to go back for more.